We’ve all had one of them days that ends up being compounded with something else. 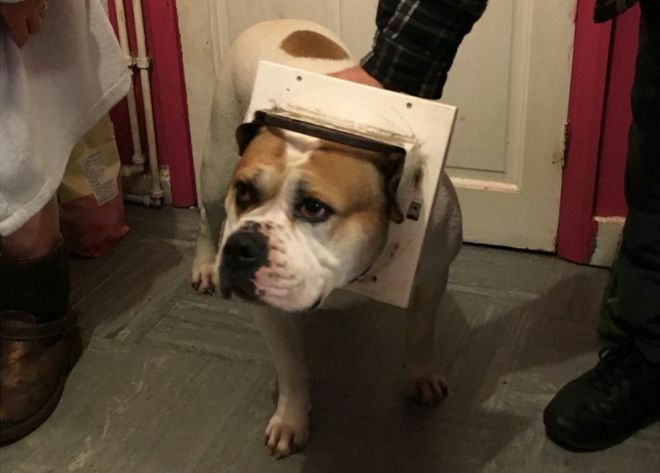 Well have some sympathy for this poor pooch after he got his head stuck in a cat door. The bulldog, who lives in Leicester, was attempting to run outside and play with her terrier friend when she ran into the cat door and got stuck.